Foster and adoptive parents have the difficult job of creating an nurturing environment for children who have come from traumatic places. However, many children themselves are unsure of their own feelings and thoughts. 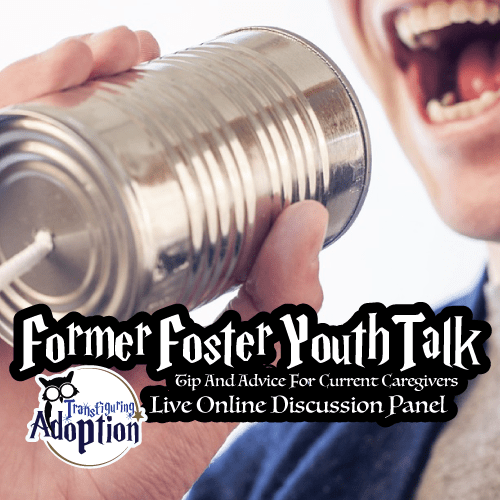 How do caregivers help someone that cannot communicate the issues with someone? 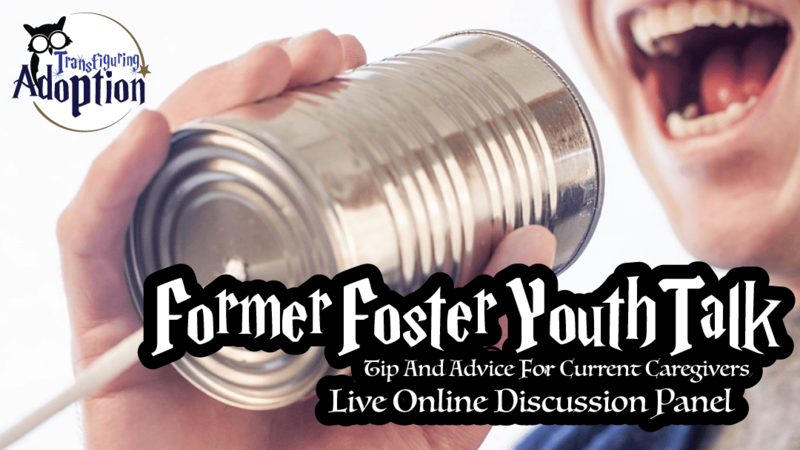 Join our online panel of experts, who also happen to be former foster youth, as they give you insight and advice by drawing on their own past situations. Darren and I love to travel, and as prospective parents, we dreamed of sharing adventures with our children. 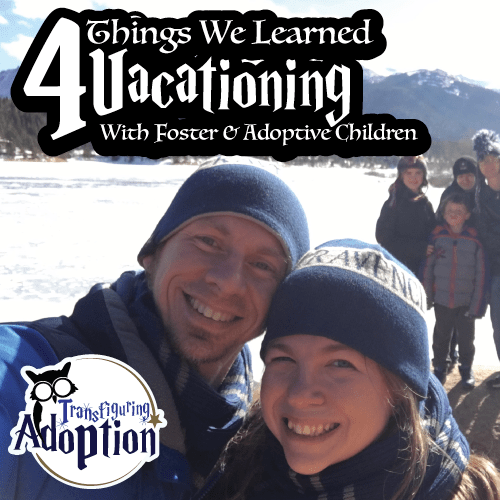 So imagine our dismay when our first 6-hour drive as a family ended in us arriving at our destination literally shaking from the stress and chaos of the trip, determined we would never go on vacation again, and the vacation really hadn’t even started! 1. Typical Vacation Strategies Don’t Often Work! When we took that first trip all together, we thought we’d start our travels at night while the kids slept. We hadn’t considered how hyper-vigilant the kids were, how they were constantly on the lookout for danger, or how they did not trust that the adults had everything under control. We overall underestimated the stress they would be under in the car. Thinking about it later, it made sense that a young child who was taken away from their biological home in a car by strangers, taken by car to live with strangers (5 or 7 times in our kids’ cases), and who were consistently being driven around by strangers to see other strangers may find riding in the car anxiety producing. Also, one of our kids spoke often about having been lost on more than one occasion with biological family. In general, strategies that families often use to ease vacation stress do not work with our children. I recall my parents teaching us how to use mile markers to estimate the length of the trip. This doesn’t work with children who have disabilities and do not understand number sequencing. 2. Negative Behaviors Multiply on Vacation! Does your child hoard food? Does your child have problems sleeping? Do your children attempt to control everyone and everything around them? We had a child with PICA (a disorder in which an individual eats non-food items). We would think this behavior had all but disappeared, only to find teeth marks in the hotel room bar soap or a stick of deodorant in great-grandma’s bathroom while visiting. The change in routine and the stress and uncertainty it causes in kids with a trauma history or special needs causes regular behavior difficulties to be amplified and can even bring about new behaviors. 3. Planning Was Never More Important…for Them, Not Us! When I was a kid, my mom, brother and I often made last minute decisions to take a road trip (usually to visit family) and figured out our route, food stops, entertainment and so on as we went. At the very least, if we took the same approach with our kids with traumatic backgrounds, we’d be asked anxious, incessant questions the whole trip, and at the worst, we’d be bringing on severe behavioral meltdowns. 4. Preparing the Children by Talking about Expectations and Realities Is a Must! I talked about this in my holiday blog series post about expectations, and it is equally important before a vacation. Ask the children what their expectations are and let them know if any of those expectations absolutely are not reality. Discuss which are sure to happen and which are questionable. Then help them think of appropriate ways to handle disappointments or changes in plans. We’re still learning, and as our kids progress (or regress), our strategies shift, but there are some key points that stay the same. You can also see some of our tips and adventures in action in the videos above. Let foster and adoptive kids know what the plans are as much as possible. Expect and prepare yourself for negative behaviors. Brainstorm potential behaviors, and plan for how you will respond. Many children do better without a long period of anticipation of a trip. Knowing weeks or months in advance that a trip is coming can create anxiety and sabotaging behaviors. Talk about the kids’ expectations. Practice and discuss beforehand how to appropriately handle disappointment, changes in plans, anxiety, and other negative emotions. Create early exit strategies for those moments when you realize you or your child is absolutely done with an activity. Also, prioritize which activities you absolutely want to do most, and do those first to help quell disappointment when you aren’t able to do everything. Your child likely will not be able to handle an entire day at an amusement park, for example, so plan for just a few rides or shows, and everything else you make it to is a bonus. Take frequent hydration and snack (with protein) breaks to physically refuel your child. This should happen ideally every two hours. We give our kids water bottles and snack bags to access throughout road trips. Bring along items such as fidgets, calm-down boxes, or noise-reducing headphones to help children cope. “He’s lost his marbles,” Ron muttered in Harry’s ear. 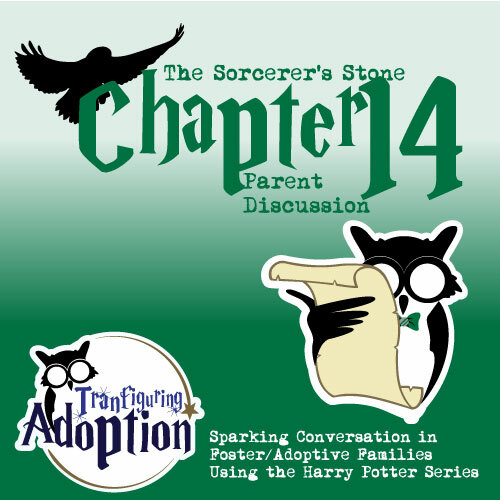 At the beginning of Chapter 14, Harry, Ron, and Hermione discover that Hagrid has gotten himself a dragon egg. After it hatches, Hagrid names the baby dragon “Norbert,” and chaos ensues as the dragon keeps growing and biting and coughing smoke. It gets downright dangerous in Hagrid’s hut! The trio of students discovers the bites seem poisonous after Ron gets a bite. Ron describes Norbert as the most horrible animal he’s ever met. However, Hagrid in his longing to have a dragon, still seems to view Norbert as “a fluffy little bunny rabbit” and sings to him and chides Ron for scaring him. 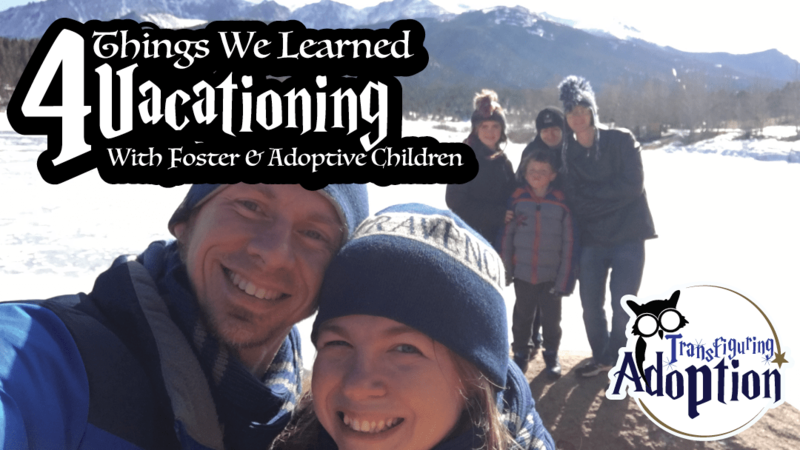 So eager to get children, we as foster and adoptive parents often dive headfirst into placements, and often chaos ensues. There’s bound to be chaos because of the trauma and newness everyone is experiencing. Sometimes there’s a honeymoon followed by chaos. Sometimes we realize we may have been unrealistic about what we could handle, and our homes become as dangerous and poisonous as Hagrid’s hut. Have you ever taken on a placement and later realized you may have bitten off more than you could chew? What did you do? In what areas do you find yourself being disappointed by unmet expectations? How can you better prepare yourself for the future and start setting realistic expectations? In what ways do you see your children being unrealistic? How do you help them see reality in a healthy way?